Length: Required Choose Options -1.5" -1" -.5" Standard 45.25" +.5" +1"
Buy the Cobra King F8+ Driver and other Cobra golf clubs at the lowest price from Just Say Golf. The Cobra King F8+ Driver has the hottest face Cobra has ever made in a driver with a little something extra for the better player. Get the Cobra King F8 Driver with free shipping from Just Say Golf. Welcome the NEW Cobra King F8+ Driver to your bag. The new Cobra drivers are packed with tons of technology that will allow you to get the most out of your round. The New F8+ has been redesigned to get more speed, and forgiveness. Yet give you the Tour Preferred shape, and workability you want. Get the NEW Cobra F8+ Driver and become a believer. Precisely placed Sweet Zone with the CG right where you need it. Over 25,000 shots tested indicate that shots on drivers are hit elliptically from low heel to high toe. Cobra recognizes this pattern. 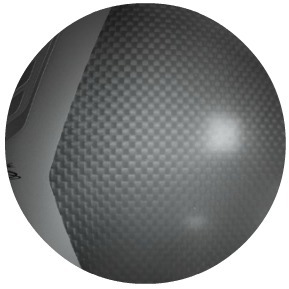 Which is why the E9 technology was put in just the right spots around the center of the face. Now you have a larger sweet spot, along with front and back CG locations. Now you can tune your distance and trajectory now matter what the conditions. Lower CG with a carbon fiber crown. A lighter crown means a lower center of gravity. A lower center of gravity means easier launch, less spin for increased distance and more stability at impact for better accuracy. 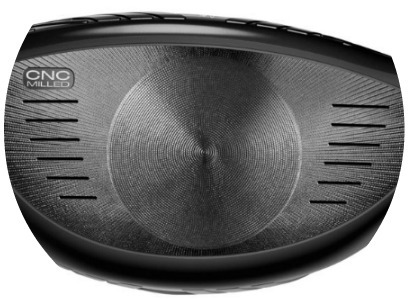 A lot of drivers talk about having a low CG, the Cobra F8 and F8+ drivers actually have one. 2-year, Manufacturer's Warranty. Gladly honored by Just Say Golf and available at any authorized Cobra Golf retailer. The new face feels so solid, even on bad shots it's still really hot. definitely lives up to the hype. I really like this driver, would recommend for sure.